The mission of the Church…to ensure the healing, teaching and sanctifying presence of Jesus Christ in the ministries and programs that bring hope to countless people throughout the diocese…is only made possible through your support. Every dollar raised is restricted to support only the work of those ministries and programs listed above. 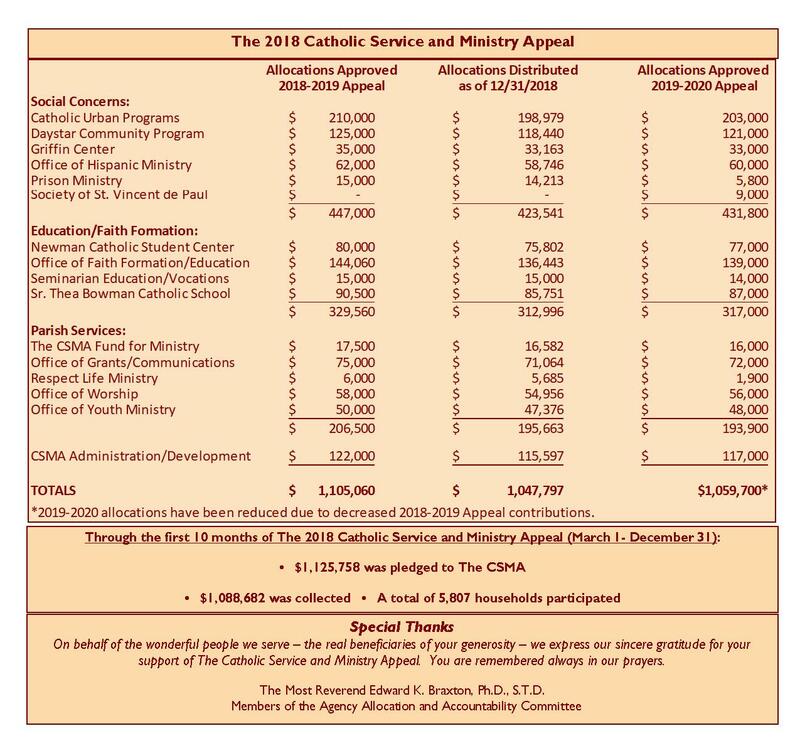 Please pray for the success of The 2019 Catholic Service and Ministry Appeal and, if your circumstances permit, consider making a gift or pledge of any size. 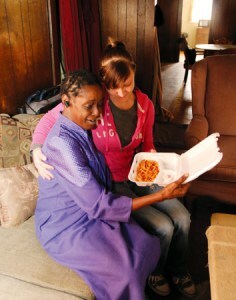 Your contributions are deeply appreciated, very much needed and will make a difference in the lives of many! The Catholic Diocese of Belleville is exempt from federal income taxes under Section 501(c)(3) of the Internal Revenue Code; your gift is tax-deductible to the full extent provided by law. providing food, clothing, shelter and emergency assistance of all types to those in need in the six southernmost counties of our state. 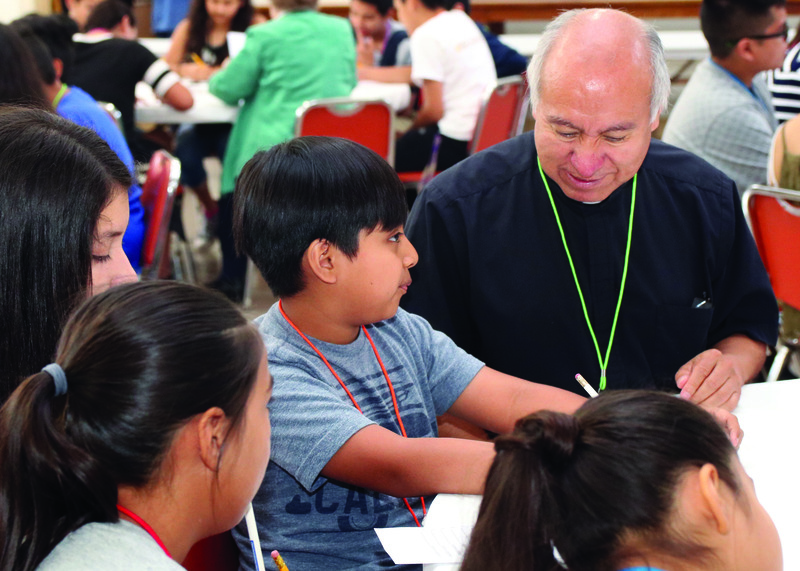 coordinating and collaborating with parishes and diocesan agencies to welcome and involve Hispanics in the life of the local church, provide sacramental ministry and offer advocacy and social services as needed. 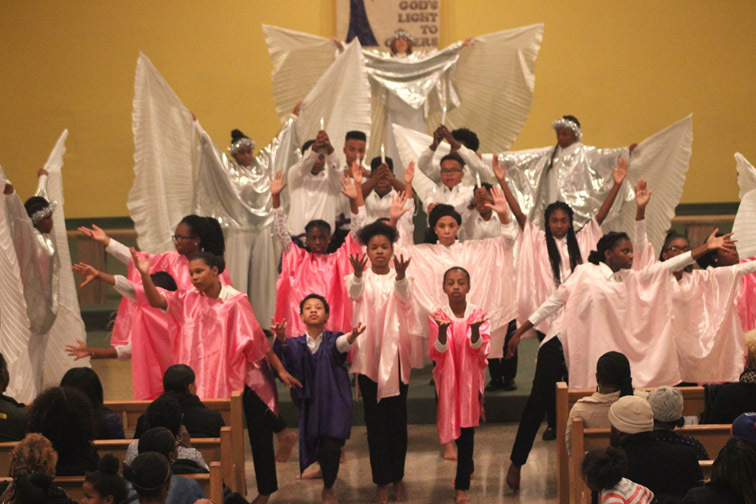 deepening faith in Jesus Christ and providing a holistic learning approach to faith development and education within a Catholic framework for students in kindergarten through grade 8 from East St. Louis and surrounding communities. bringing Catholic service and perspective to all those affected by incarceration in the 28 counties comprising the Diocese of Belleville, including those who are incarcerated in federal, state and local correctional institutions, their families, victims and communities. The life of a Christian steward models the life of Jesus. It is challenging and even difficult in many respects, yet intense joy comes to those who take the risk to live as Christian stewards. Women and men who seek to live as stewards learn that “…all things work for good for those who love God". Romans 8:28.